Wedding reception music – DJ, live band, or even both? 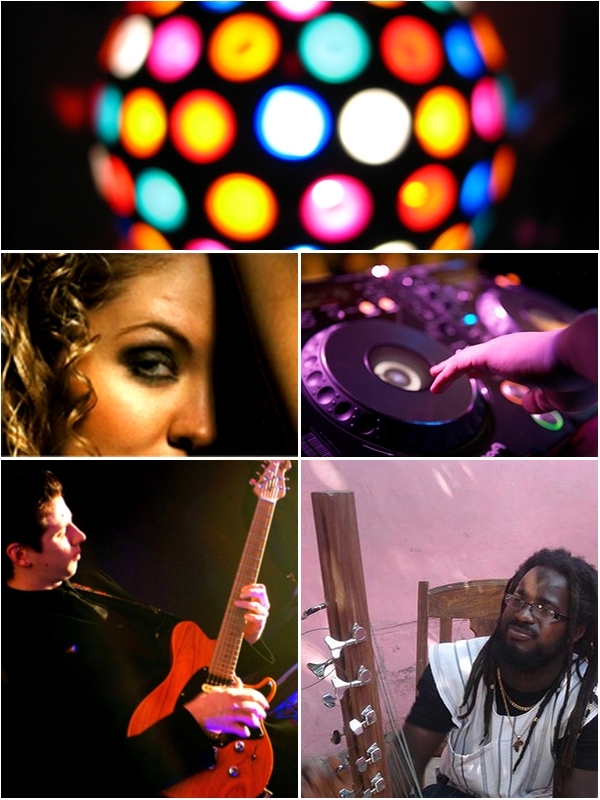 Home / Party Music Bands:- / Band Hire : Birmingham and the midlands / Wedding reception music – DJ, live band, or even both? It’s often a good idea to round off the wedding reception party with a DJ for all the Dancing Queens and the younger element in general to expend the very last of their energy on the dancefloor. But is a DJ playing records all evening, however varied and eclectic his/her repertoire, sufficient entertainment to satisfy all your wedding guests, including Great Aunt Ethel? A well-timed performance from a live band can provide a focal point for the evening as a whole, acting as a centrepiece around which to structure proceedings. Careful choice of live music will set the atmosphere and can be useful in reinforcing your wedding theme. Find out more about booking a live band for your wedding. Are you planning a specific theme for your wedding? Or do you simply want to create and maintain a relaxed, happy party mood with no particular theme in mind? Do you envisage a romantic, candle-lit intimacy suggested by slow smoochy ballads, or a more action-packed, energetic, hair-down, shoes-off party atmosphere? Your choice of live band will have a huge bearing on the overall tone and direction of the evening. A sensitive, versatile and experienced DJ will be able to cover most of the bases and deliver a carefully-structured evening of musical entertainment designed to appeal to as wide a range of ages and musical tastes as possible. Professional DJs will generally be happy to play specific requests or even bias their repertoire towards (or away from!) a particular style of music. A good DJ will be able to also act as MC during the evening, announcing the cutting of the cake or the tossing of the bridal bouquet, for instance. An experienced DJ will pace the entertainment skilfully, steadily building the dynamics of the atmosphere towards an exciting climax. However much of a livewire the DJ may be as an entertainer in his/her own right, there’s no getting away from the fact that the music presented is always recorded and thus unchanging and unchangeable. A performance by talented live musicians, however, does present that third dimension – the wow-factor – that the best DJ in the world can’t really emulate. A dynamic live performance can make all the difference in making a wedding celebration party truly a night to remember. There is considerable diversity in the choice of good-quality live music available all across the UK. No matter what your favourite style of music may be, from blues through jazz to rock’n’roll, Celtic, salsa, country, steel pan or gypsy band, it shouldn’t be too difficult to source some talented musicians to perform at your wedding reception. Nothing comes close to an energetic and committed performance from a versatile top-quality live band, who will interact with the audience and really put on a show. If you find the huge and bewildering range of available alternatives rather overwhelming, a reputable music agency will be able to offer expert advice and guidance towards a suitable choice. Many agencies nowadays specialise in providing musicians of all genres and styles for weddings and other family parties, and can guarantee a certain level of musical ability, reliability and professionalism in the bands they recommend. Also, if you book your musicians through such an agency, you will have the added security of a legal contract of engagement. Consider carefully the type and style of musical entertainment you want at your wedding, always bearing in mind the need to cater for your guests’ wide-ranging tastes. The choice between a DJ and a live band depends on a number of factors (not last nor least, budget! ), but if a spectacular centrepiece to the celebration is required, then a live band performance is an absolute must. To cover all the bases, having a live band followed by a DJ to finish off the night is probably ideal; some bands these days can offer a DJ session as part of their performance, so that might be the perfect solution.